Learn how Geneious Prime takes you from data to discovery faster by exploring our knowledge center, taking a product tour, and reading customer publications. We also offer tutorials and plugins to help you to get the most out of Geneious Prime. Download the latest version of Geneious Prime. 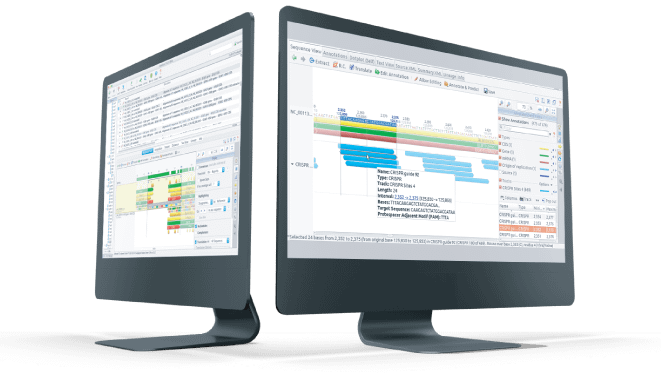 Take a product tour to explore the features of our molecular biology and genomics analysis software. Check out the organizations that use Geneious Prime to enhance their scientific research. Read a selection of publications citing Geneious Prime, making it the most cited sequence analysis tool in the world. Harness the full capabilities of Geneious Prime by reviewing tutorials based on real-world scientific data. Take advantage of the Geneious Prime API to write your own plugins or workflows. Access our application support scientists and explore the knowledge base and customer forums.